Content by Tony Macklin. Originally published on August 16, 2018 @ tonymacklin.net. In recent years, documentaries have revealed the stress of being a celebrity: Robin Williams, Garry Shandling, et al. Actor Paul Walker transcended that stress by keeping in touch with nature and his own humanity. The Paramount Network documentary I Am Paul Walker is a moving tribute to the international action movie star, who died at the age of 40 in a terrible car accident. One might expect a puff piece about the star of The Fast and the Furious franchise. Was he just another pretty face? Hardly. I Am Paul Walker is not a tell-all movie - it's a best-of-him movie. Everybody in the film seems to love Paul and his virtues. But I Am Paul Walker has no irony; it is an ode of positive sentiment. It avoids controversy. Certainly there are women out there who have stories about Paul and his exploits, but they are not to be seen. Paul Walker was born in a blue collar environment in Glendale, California. He had a penchant for fighting and recklessness. He was a child actor, who loved surfing. His commitment to nature was life-long. As he grew older, he returned to acting, but it was always only a job. He gained visibility as the dreamboat driver of a convertible in Gary Ross's Pleasantville (1998). Eventually he became the star of the incredibly popular Furious series. Cody tells how he always said "this is the last one." It became his mantra. Like Paul Newman, Steve McQueen, and James Dean, Walker had a passion for cars and racing. He had a monumental collection of cars. At times he was a loner. He would sometimes disappear to go off into beaches and oceans by himself. He wound up living in Santa Barbara, California, where he could study sea life and be on the ocean. He went all over the world experiencing and learning about the ocean. Perhaps his greatest contribution was to travel to countries hit by natural disasters - Haiti and Chili. By sheer force of personality and determination, he was able to get himself and his friends to places that desperately needed help. He had a fundamental sense of caring. In his personal life, his first priority was his only child - his daughter Meadow. She lived with her mother in Hawaii, then moved to live in California with him. Actor Tyrese Gibson, a veteran of Furious films, says he and Paul were both trying to raise a daughter, and they would share their common commitment. 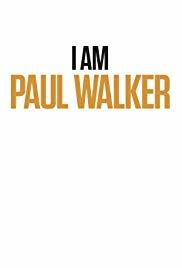 I Am Paul Walker is directed by Adrian Buitenhuis. He is able to depend on home movies which beautifully capture the most human aspects of Paul. They are reminiscent of the home movie footage at the end of Jonathan Demme's Philadelphia (1993). They show the real Paul Walker. They are The Slow and the Gentleness.